Noel Kelly's Kids - VALE Johnny Mowbray (574) Born 13 December 1940 Died 20 November 2009 This picture tells it all about Johnny "Jazza" Mowbray. In the old weights Mowy was about 9 stone 7 pounds and Big Norm Provan weight about 15 stone. 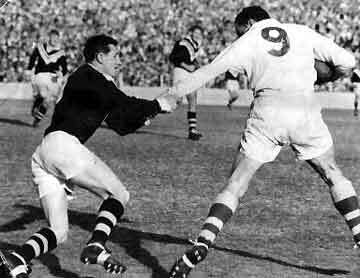 It was a real David and Goliath battle.Jazza in 1966 Mowy passed away in his sleep on the 20th of November 2009. 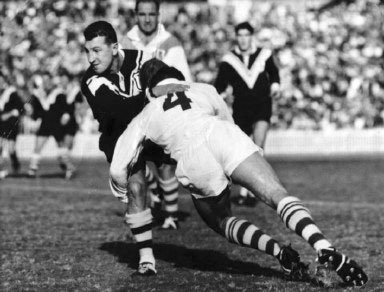 He was a true Wests man having played from 1959 until 1968. Mowy played 80 first grade games and scored 40 tries at that level. Jazza also played 71 Reserve grade games and 3 Third grade games. In total he scored 75 tries and 1 goal Jazza being tackled by a very young Billy Smith Jazza had spent the last two weeks of his life at the Men of League Wing at Habourside Haven, Shoal Bay. Martin Cook, Executive Officer of the Men of League Foundation has told me he was very happy there. 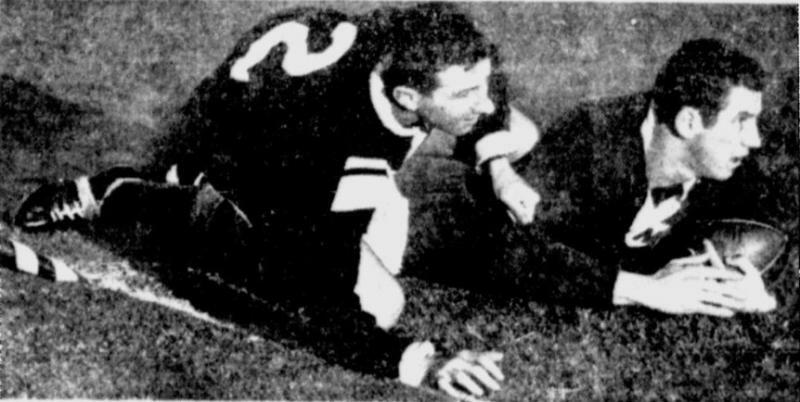 Jazza tackles Ross Bullock (a little late) 1966 Jazza in 2007 at the Pratten Park Reunion Jazza in the thick of it 1963 Grand Final. To read more about John and his life in Rugby League please read the John Mowbray interview.Its on the left hand side of this page. Enjoy. This picture tells it all about Johnny "Jazza" Mowbray. and Big Norm Provan weight about 15 stone. It was a real David and Goliath battle. Mowy passed away in his sleep on the 20th of November 2009. He was a true Wests man having played from 1959 until 1968. Mowy played 80 first grade games and scored 40 tries at that level. Jazza also played 71 Reserve grade games and 3 Third grade games. League Wing at Habourside Haven, Shoal Bay. has told me he was very happy there. 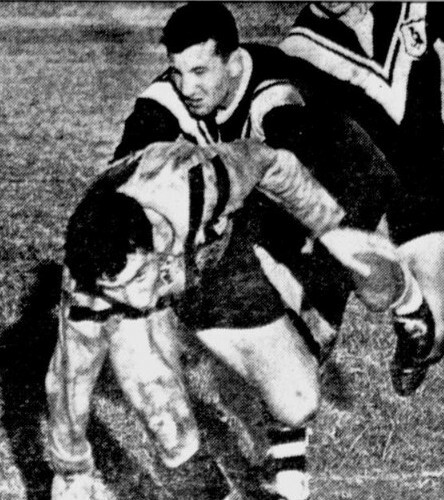 Jazza in the thick of it 1963 Grand Final. 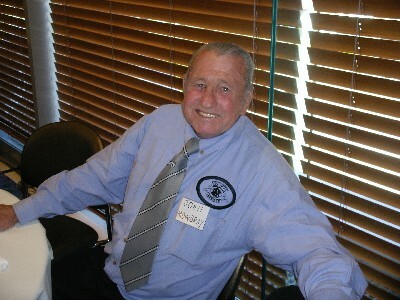 To read more about John and his life in Rugby League please read the John Mowbray interview. Its on the left hand side of this page.